The top bureaucrat of Delhi was manhandled by at least two AAP MLAs while a meeting on the door-to-door delivery of essential government services was in progress. The Delhi Indian Administrative Services Association has called for a meeting on Tuesday afternoon to discuss the matter. A decision to lodge an FIR in the case is reportedly on the table. 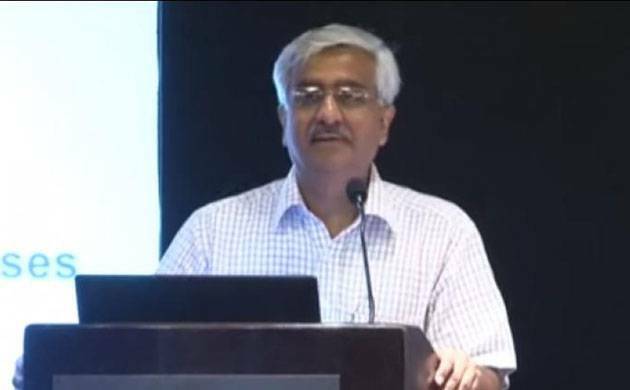 Delhi Chief Secretary Anshu Prakash has alleged physical assault by Aam Aadmi Party MLAs at Chief Minister Arvind Kejriwal’s residence on Monday night. The top bureaucrat of Delhi was allegedly manhandled by at least two AAP MLAs while a meeting on the door-to-door delivery of essential government services was in progress. The Delhi Indian Administrative Services Association has called for a meeting on Tuesday afternoon to discuss the matter. A decision to lodge an FIR in the case is reportedly on the table. BJP’s Vijender Gupta took to Twitter and shared the event, reporting the whole incident as “ill-treatment”. He also conveyed that he will be meeting the Lieutenant Governor of Delhi in the afternoon on Tuesday and discuss the further course of action. Will be meeting Hon'ble @LtGovDelhi at 12:35pm to apprise him of the ill treatment meted out to the Chief Secretary at the hands of AAP goons on the behest of CM @ArvindKejriwal. The same had happened with BJP delegation when it went to meet the CM at his residence. He also said that a total of nine AAP MLAs were present when the Chief Secretary was assaulted in front of CM Kejriwal. Delhi Police, however, said it has not received any formal complaint about the incident. DN Singh, Delhi Administrative Subordinate Services President said, "We are going on a strike with immediate effect. We are with our Chief Secretary. Until those at fault are not arrested we will not get back to work. We have urged LG to take legal action against those responsible. This is like a constitutional crisis, never seen such a thing happen in the past many years." Delhi Congress President Ajay Maken took to Twitter to express his concern and said that the Delhi CM should apologise for the incident which happened in front of him, blaming the Aam Aadmi Party does not know governance. AAP Govt is unable to deliver-Beating of Chief Secretary by MLAs in front of CM is another low & is aimed to divert attention from Govt failures! Responding to the allegations by the Chief Secretary, the Aam Aadmi Party shared a post on its Twitter handle and said that the Chieff Secretary refused to answer questions, and even used bad language against some MLAs. In a new, Aam Aadmi Party's Ashish Khetan call up the Police Control Room (PCR) and alleges that he was manhandled at the Delhi Secretariat on Tuesday. The Delhi Police has reached the spot.